Toadvine and our manufacturer Nevco offer a wide variety of outdoor scoreboard options for almost any budget and any sport. High school or college, we can meet your needs for football, baseball, softball, soccer, lacrosse, field hockey and multi-sports scoreboards. Have a specific request or question about what we offer? There are several things you can do. 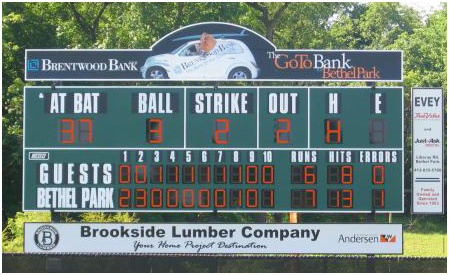 Take a look at the 2018 Outdoor Scoreboards catalog above and contact us for more information or to request a quote.